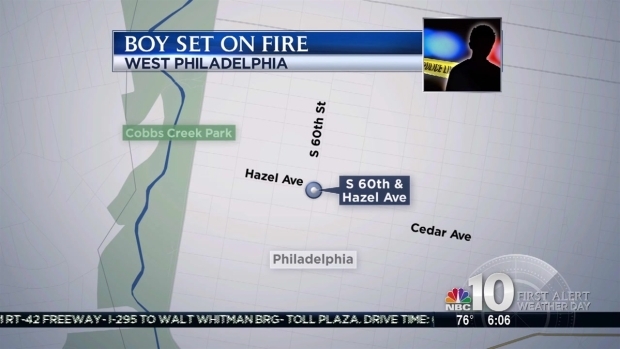 An 11-year-old boy was on the road to recovery after police said a teen sprayed him with hand sanitizer and set him on fire in West Philadelphia. Lt. John Walker told the Philadelphia Daily News the incident happened at 5:30 p.m. Wednesday as the victim and a friend were sitting on a porch of a home along Hazel Street near 60th Street. 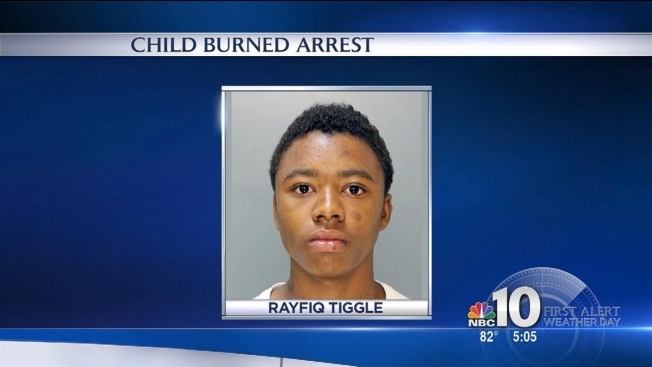 Police said 17-year-old Rayfiq Tiggle walked by, carrying a bottle of hand sanitizer. The 11-year-old's friend asked if he could have some and Tiggle initially agreed. But he then sprayed it on the victim's torso and told him he's dirty, before setting the shirtless boy on fire. The flames were doused in about 10 seconds. The boy was hospitalized in stable condition with second-degree burns and was able to identify Tiggle as his attacker. Philadelphia Police say that a teenager sprayed hand sanitizer on an 11-year-old boy and then set him on fire Wednesday. Walker said Tiggle, who is being charged as an adult in the case, was arrested a few blocks away and faces aggravated assault, arson and recklace endangerment charges.